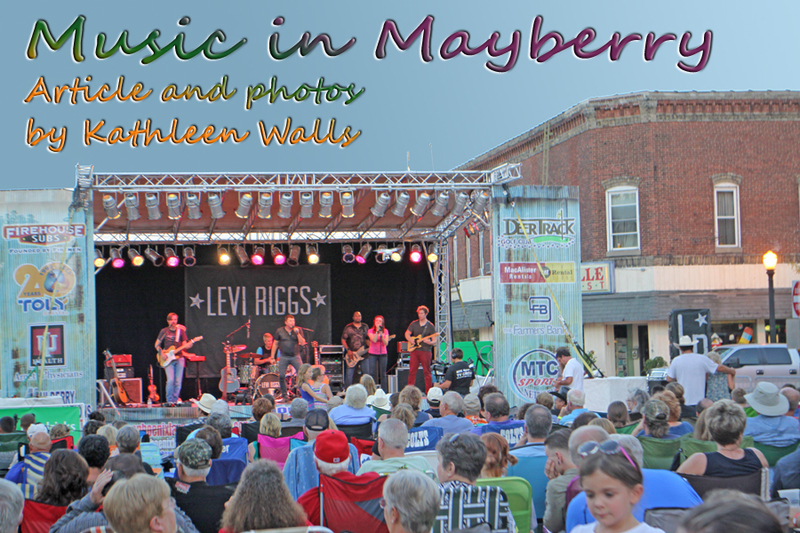 If you're a Mayberry kind of person who enjoys old-fashioned fun and music, you want to be in Danville, Indiana on the third Saturday of each month from June thru September for Summer Sounds on the Square. You will feel like you took a time machine ride and emerged in Mayberry, the iconic small town home of the Andy Griffin Show. I was lucky enough to visit recently on a Travel Media Showcase post trip and loved the concert, the people, the town and the food. Levi Riggs was the artist appearing on August 15th when I was there. He's a local boy made good in the country music field. His first single, My Best Friend's a Girl reached #52 on Billboard Indicator. What makes that so spectacular is that he recorded the song on his own label. It's not often an independent gets that kind of recognition. When his 2014 single, I'm Good reached #46 status on Billboard, it proves Levi Riggs really is good. Seeing him in action at the Summer Sounds on the Square where he did covers of some old classics like Johnny Cash's Folsom Prison and Roy Orbison's Pretty Woman convinced me he really is even better than "good." His own music rivals the old favorites. My Best Friend's a Girl rings with authenticity, a necessary ingredient for a great Country Music star. The song is about his wife, Brittany, who succeeded in talking him into a Disney World honeymoon. His There's Still a Place for That reflects his own lifestyle. While rising fast in Nashville's Country Music stars' galaxy, he still maintains his "day job" as sales manager for Syngenta's Garst Seed Company. Even his record label, which he called Windridge Records, is named after his family's Jersey dairy cattle farm. Levi, his sister, Lauren and brother-in-law, Joey, preforming at the Royal Theater for us. 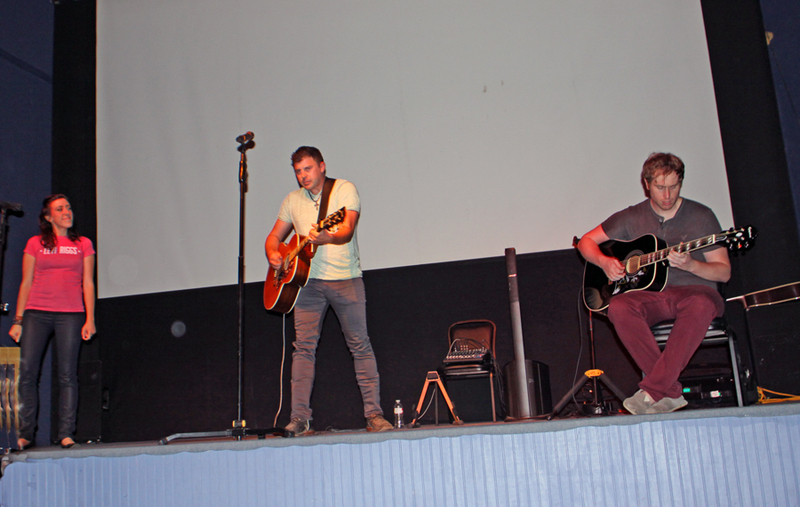 Levi further convinced me that his "county boy" image is authentic when he put on a pre-concert show for just us travel writers at the Royal Theater before the show. He posed with any of us and answered our questions about his life and career. He travels and performs with his sister, Lauren, who backs him on vocals and his brother-in-law, Joey, who plays a mean lead guitar. Other members of the band are Jay Brooks, rhythm guitar, banjo, mandolin, vocals; Ben Frost on bass guitar; Derek Maish on drums and Bethany Smith who can give Charley Daniels a run for his money on her very hot fiddle. 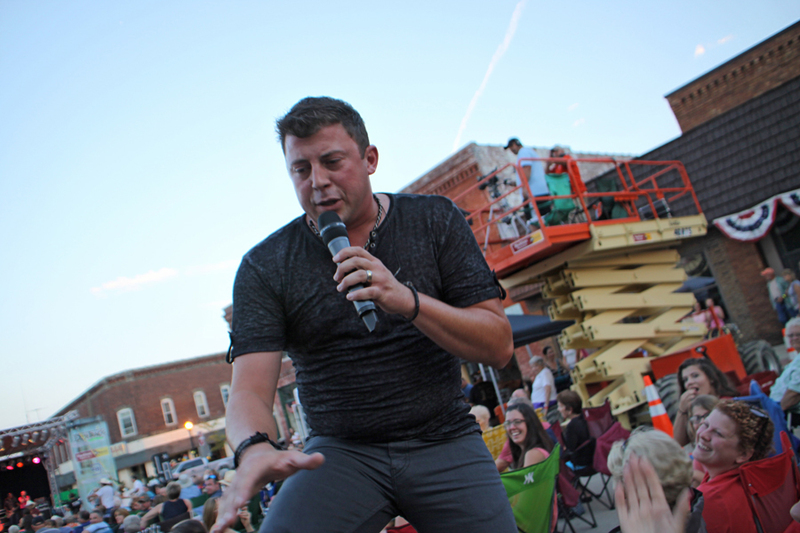 During the concert performance, Levi sometimes roams among the audience as he sings. He gave us all a thrill when he bounced atop our table singing Pretty Woman. There is a real hint of Johnny Cash in his style. 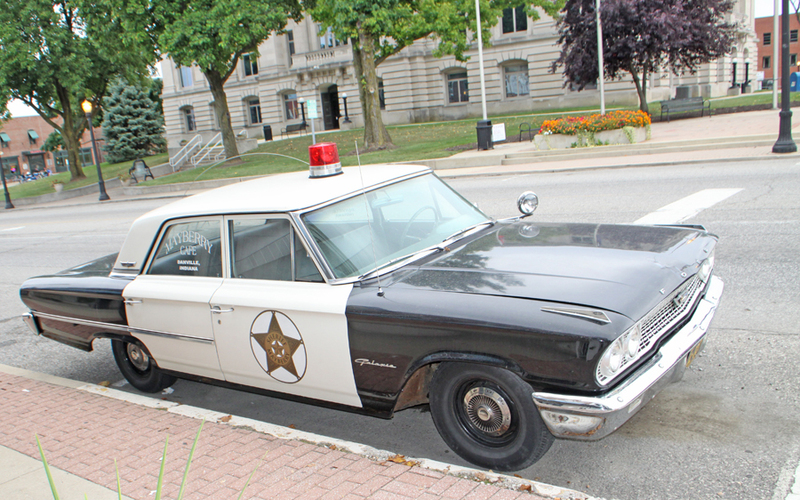 The city of Danville has more than a hint of Mayberry in the air. The concerts are held on the square in front of the courthouse. Folks bring lawn chairs or sit on a few picnic tables that are on site. The entry fee is small, only $5 for adults and free for anyone under 21. The streets around the square are Mayberry-esque. The historic museum is the old jail and sheriffs‘home. When we arrived, we were greeted by none other than Barney Fife, The Mayfield deputy, who rushed out to give all of us "tickets" AKA autographed flyers. Aunt Bee ushered us inside the museum to offer us home baked cookies. 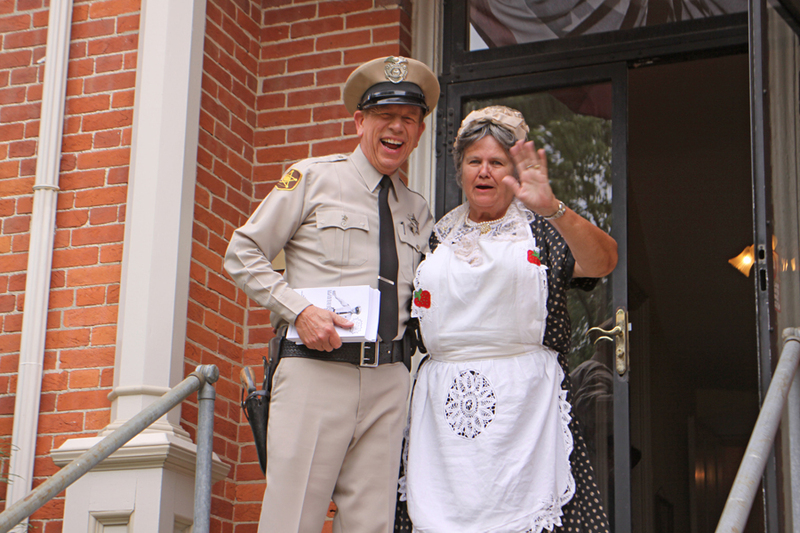 Barney and Aunt Bee great us in front of the Sheriffs' home and jail. The museum recalls earlier times, several different eras actually. There are tow kitchens, one reminiscent of the early 1900s and the other firmly planted in the 1940-50s time frame. Both are fun to visit. The older one had the old wood stove and crank phone that really brings Mayberry to mind. In addition, the sheriff's office, parlor and the family's bedrooms take you back, some arranged as they would have been in the late 19th century. 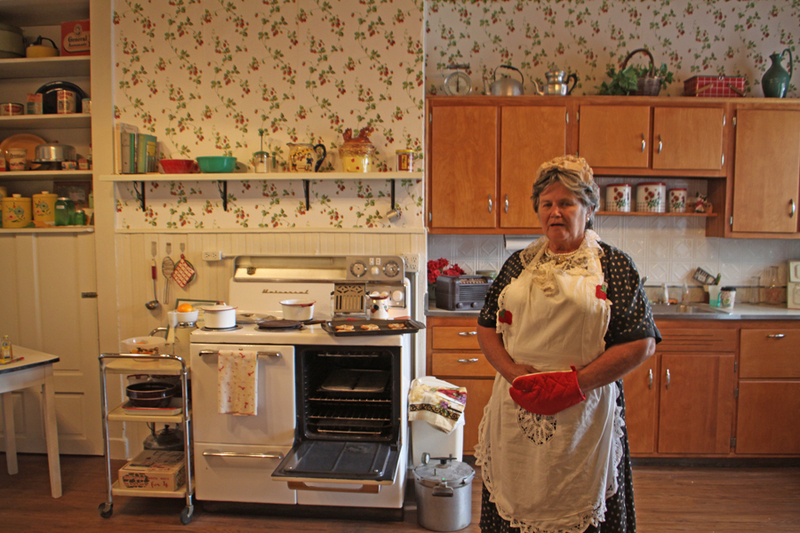 Aunt Bee just baked us some cookies in the sheriffs' home mid-20th century kitchen. The old jail would have reformed me had I had the misfortune to land in it. It is stark and not designed for comfort. Tiny cells with metal bunks and a toilet comprised the entire furnishings. 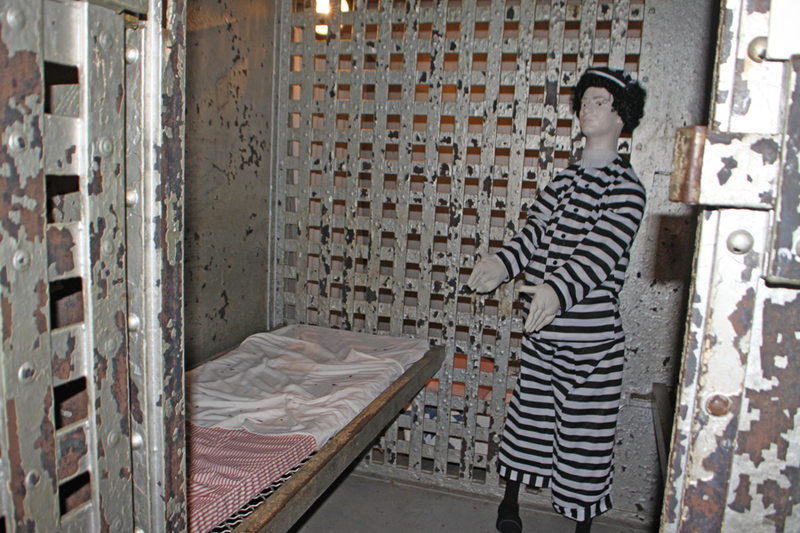 How would you like to spend the night in the "ladies section" of the jail? The home and jail was built in 1866 and in use until 1974. It also includes a military room, a Normal College Room featuring the old teachers' school which was located in Danville, and the changing exhibits room. 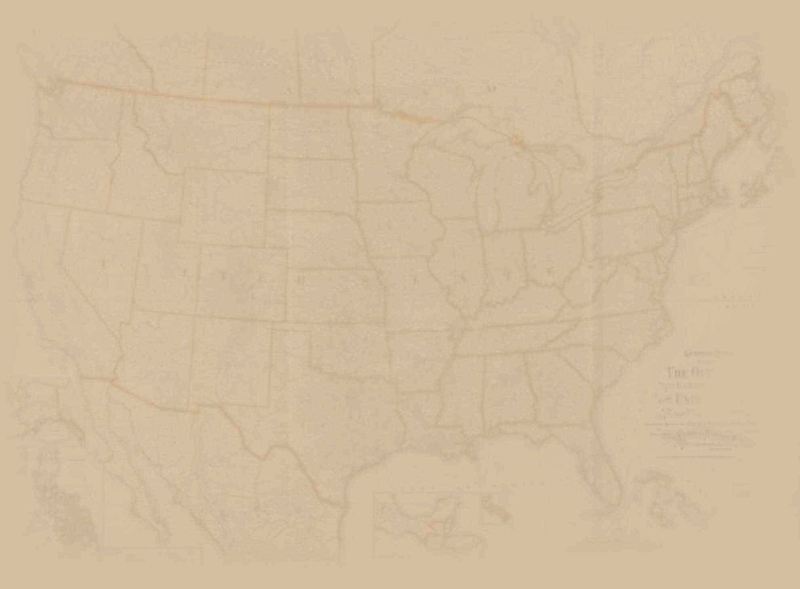 When I visited it featured an exhibit about Clifford C. "Click" Relander, a Danville native who became famous as an expert on the culture of the Indians of the Yakima Valley in the Pacific North West. His collection was huge and I was fascinated by the artifacts particularly the arrowheads. 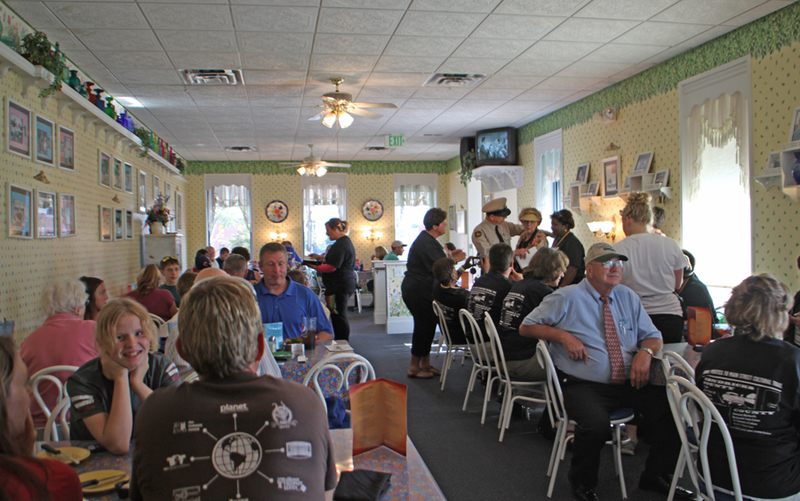 Dining with the local folks at the Mayberry Cafe. Barney, whose real name is David Browning, hung out with us at dinner at the Mayberry Cafe and entertained us with "Barney" stories and events from past Mayberry in the Midwest Days which is coming in May and will feature him as well as many other re-enactors who bring back fond memories of Goober and Gomer, Floyd, Otis and the rest of Mayberry. Karen Knotts will be there to entertain with reminisces of her famous father. It's such a real down home kind of place. 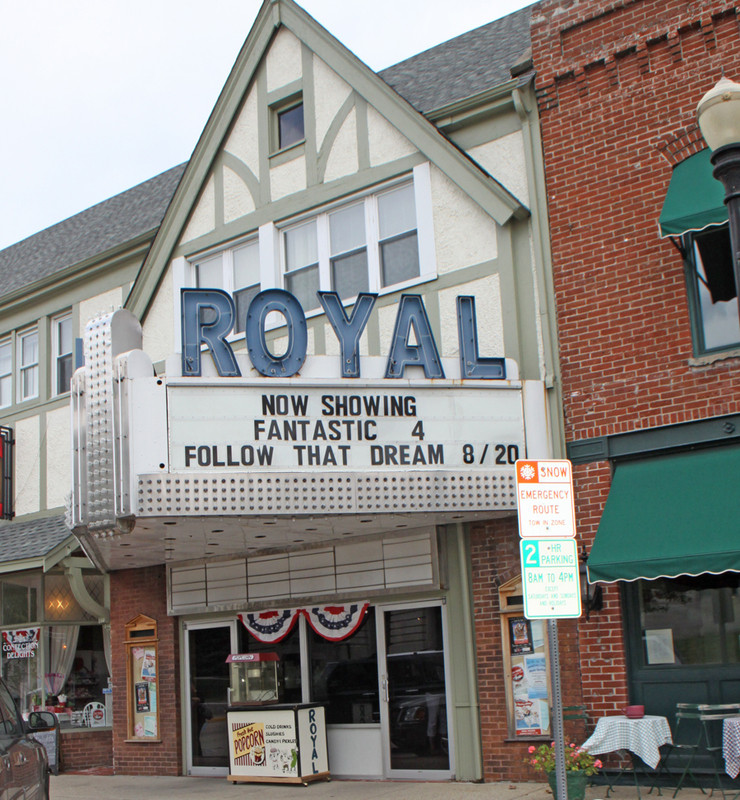 Other places that made us welcome and added to the Mayberry feel were the Royal Theater where Levi entertained us, Diesel's Sports Grill that served some killer Burn Out Nachos, unique Beer Batter Cheese Curds and a Fish Taco that was packed with everything but the kitchen sink. 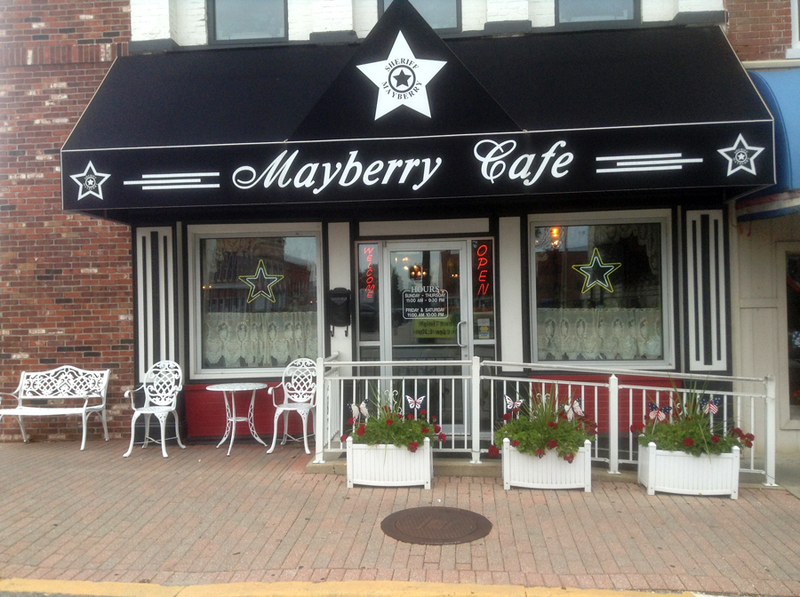 Mayberry Cafe makes you feel like you are really in the iconic town. The fried chicken rivals anything Aunt Bee might prepare. Owners, Brad and Christine Born, have been cooking Mayberry food here for 27 year so they have had a lot of practice. The restaurant grew out of their love for the Andy Griffin Show and they were the instigators of the Mayberry in the Midwest Festival. 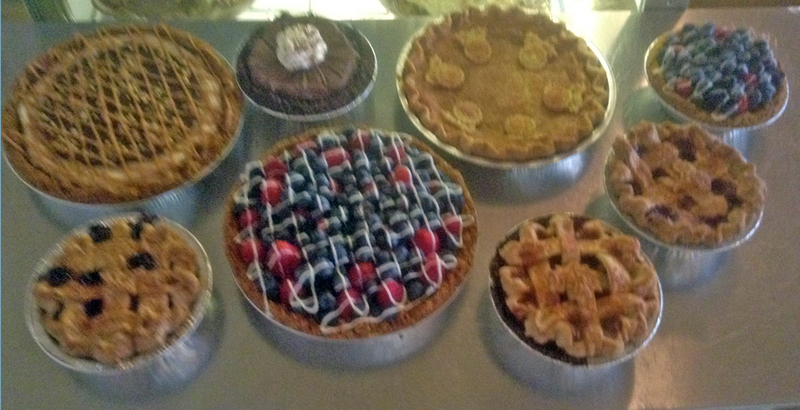 The Bread Basket Bakery and Cafe filled us with more homemade pies and cakes that you could imagine. 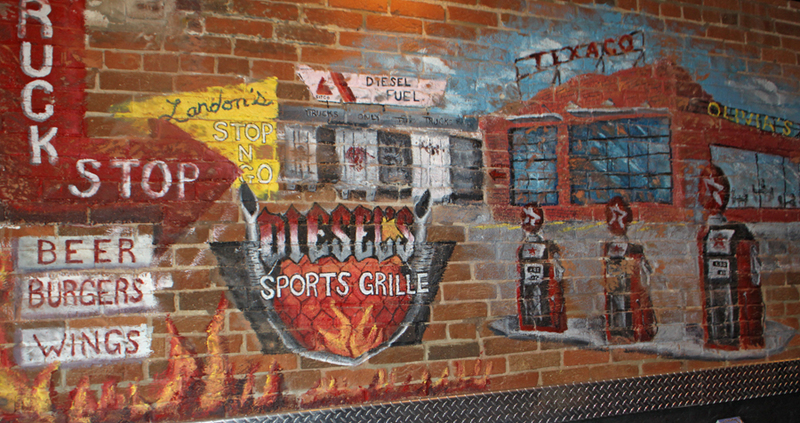 Mural on the wall at Diesel's. Danville throws a street party you won't soon forget.